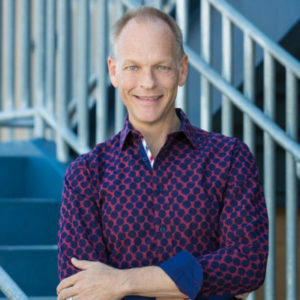 Teaching artist Andrew ‘Andy’ Eisenmann has had an interesting career, combining teaching, performing as a professional operatic baritone and doing customer experience management. As a master teacher, Andy has taken his student choral groups to China, New York, Europe, Chicago and most recently Australia. His groups are diverse and represent the students within them, both musically and visually. Currently, at Rancho Mirage High School in the Southern California Desert, he was the founding staff member as the school started, as well as opened and currently manages the Helene Galen Performing Arts Center. Rancho Mirage High School has a vibrant program, with 6 fully staged productions annually and between 65-70 shows annually. As an operatic and concert baritone, Andy performed leading roles in the opera companies of Baltimore, Cleveland, Memphis, Santa Barbara, San Jose (as a principal artist in residence under the mentorship of Irene Dalis, performing 16 roles over a 4 year period) and Philadelphia. Also at concert venues such as Carnegie Hall, Alice Tully Hall and Prague’s Rudolfinum. He studied voice with Beverley Johnson at the Juilliard School and devotes his success within the arts, both educational and performing to a couple people…Larry Ammel, his high school band director (Andy’s undergraduate degree was in trumpet…long story) and Irene Dalis, founder of Opera San Jose. As a teaching artist, Andy frequently travels to work with choral groups in the United States and world-wide. He has worked with groups in Chicago, Memphis, San Francisco, Italy, South Korea, China and most recently as a faculty member at the 2016 Australian International Music Festival. One of his passions is helping groups build on what they already offer to audiences…inspiring them to tell these stories that we call songs!